The morning bird pattern of past couple days continued. A good number early in the morning with a notifable drop off starting about mid morning with few birds present in the mid afternoon. Over all a good day. 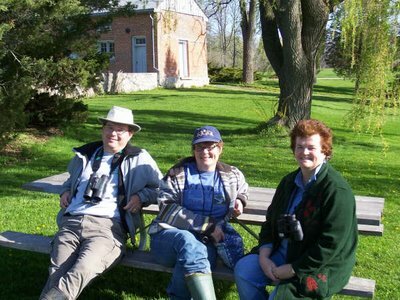 A day of much activity around the Ruthven banding station, at least with visitors if not so much on the banding front. There was even an international feel to the day as a couple from a village outside of Milan, Italy came for a visit. They escaped unbanded. A number of new season sighting today. 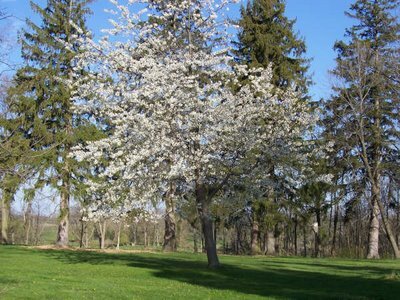 These were Baltimore Oriole (at the oriole feeder near the station), Rose-breasted Grosbeak, Gray Catbird, Bank Swallow, Black-Throated Green Warbler, and Eastern Meadowlark. One of the AMGO was originally banded in September 2002 as an adult making her at least 5 years old. A large snapping turtle was found in the valley below the station to complete the day. 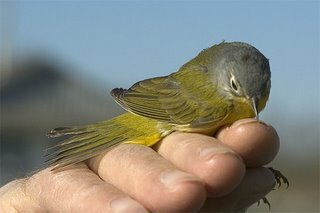 A Nashville Warbler, banded today. A female Blue-Gray Gnatcatcher, seen today at Ruthven. 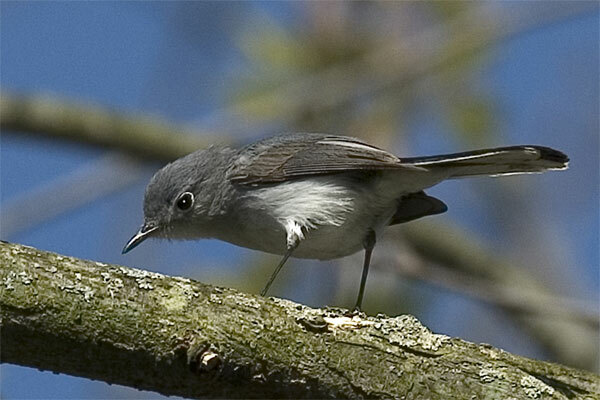 (This bird is female–notice that it is lacking an eyebrow stripe). 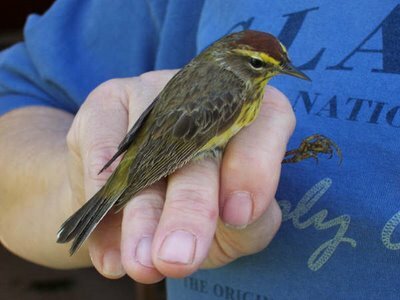 A Western Palm Warbler, banded today. One of the nice things happening at Ruthven is that people are discovering it as a “birding alternative” – a lovely place to dawdle and watch the surprising variety of birds that move through the forest and edge habitat or along the river. Added to this is the opportunity to see some of the birds up close. 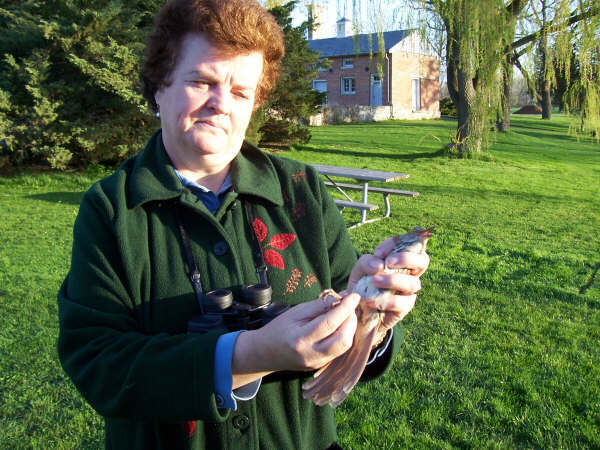 What an amazing thing it is to hold in one’s hand a 10-gram ball of feathers that you know has flown from northern Canada to the Tropics and is on its way back again – or may be returning to Ruthven. Just imagine the things and places its seen! And think of the physical capacity to do what it has done.